I kind of can’t believe I haven’t shared this salad with y’all yet. 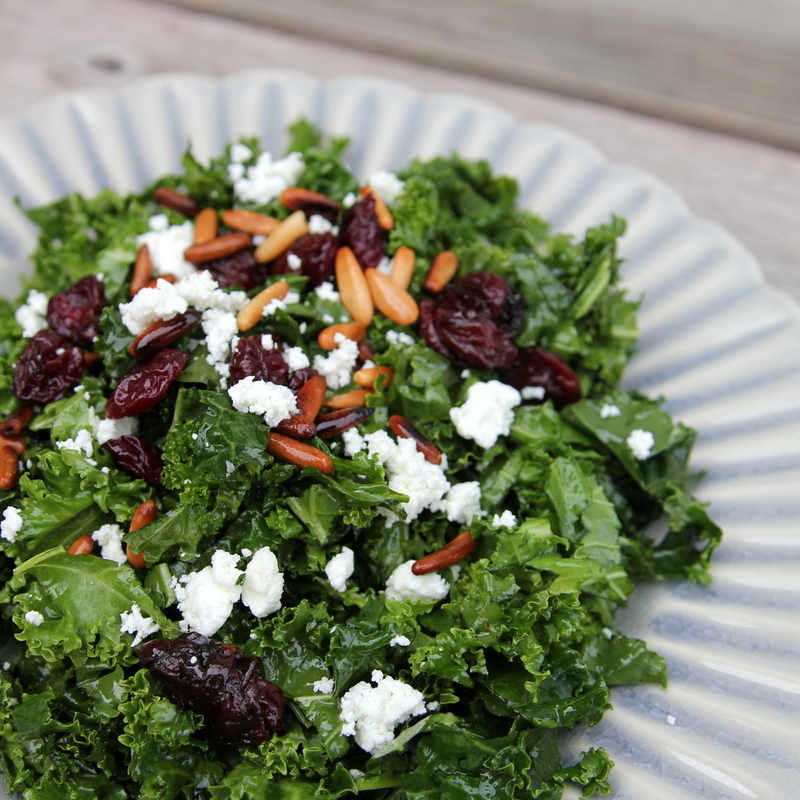 Given my affinity for kale salads. And tart cherries (I loooooooove them, y’all). And pine nuts. And goat cheese. Seriously, it’s like a Kirstin’s Favorite Things salad grand slam. 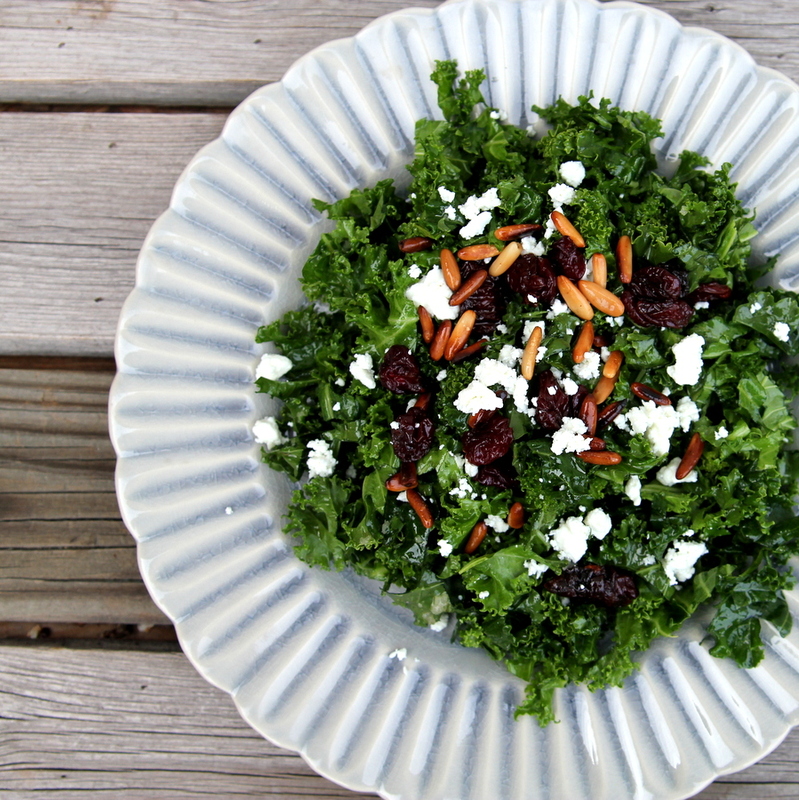 This salad not a Whole30 compliant (because of the goat cheese and the honey), so this was absolutely on my “After Whole 30” list! 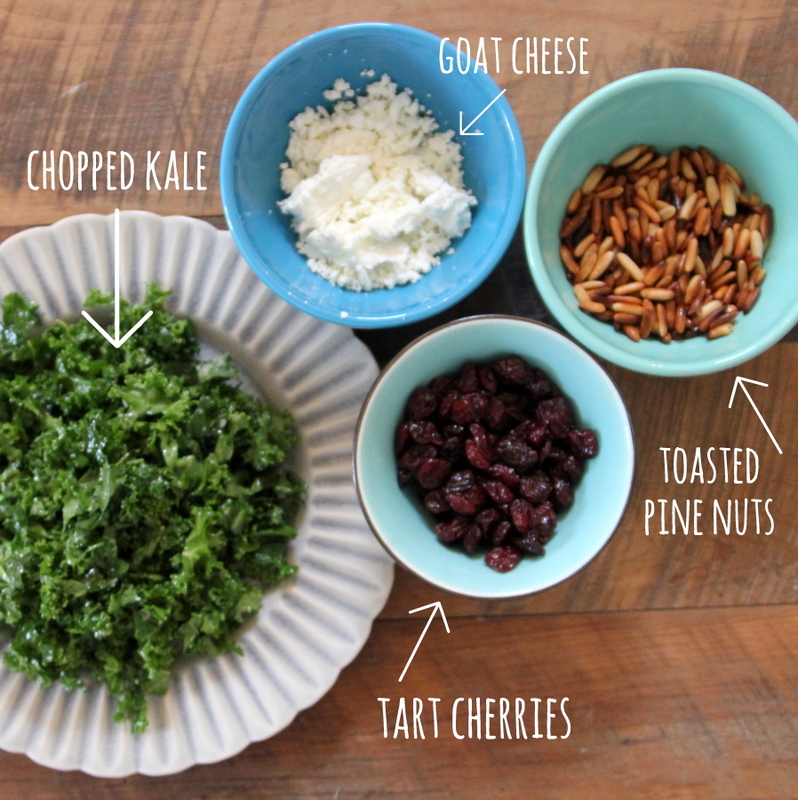 Cut the kale into tiny pieces. Whisk together the olive oil, lemon, honey and garlic salt. 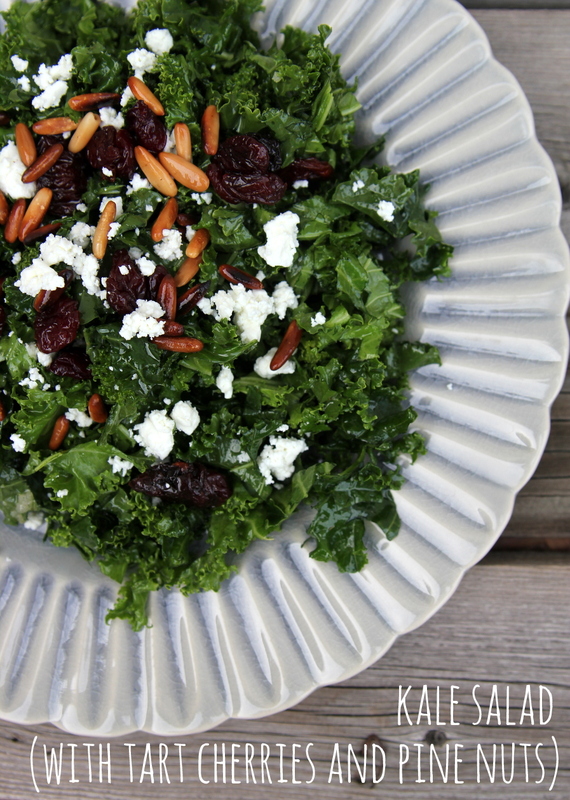 Toss onto kale. Add cherries and pine nuts. Top with goat cheese.